Although it is in a tranquil, rural area, Jackson Road can easily be the site of a Rancho Murieta truck crash. This can result in injuries to the many residents who depend on this stretch of roadway to go to Sacramento. Jackson Road has two lanes with many entrances from nearby farms and ranches. As a two-lane road, it is difficult to pass big trucks frequently found there. Knowing how to share the road with a big rig is important for motorists to stay safe. Inexperience: An inexperienced driver may be unfamiliar with how much space is needed for a truck to stay in its lane, may employ brakes improperly, resulting in a jackknife accident, or load the truck wrong, which can cause a rollover. Driver fatigue: One problem with long-distance truck drivers is that they spend many hours behind the wheel and can become fatigued. When this happens, the driver may nod off or not adequately monitor the road ahead, causing a truck accident. Speeding: Some truck drivers may be tempted to speed to reach their destination faster or make up for lost time. Speeding is dangerous for any motorist but can become deadly when a truck driver does it. Keep in mind that the average big rig can weigh up to 80,000 pounds. When it is involved in a collision, it can result in serious injuries or fatalities. Poor maintenance: Drivers of big rigs are required to perform an inspection before they take the truck out on the road. Failure to do so or to perform necessary maintenance can result in brake failure or problems with the steering or a blown tire. Any of these maintenance failures can cause a Rancho Murieta truck crash. Distracted driving: Driving for long hours can be tedious, and the driver may spend some of that time texting or talking on a cell phone, accessing the log book or changing radio stations. Any activity that takes the driver’s eyes from the road can cause an accident. Never tailgate a big rig. 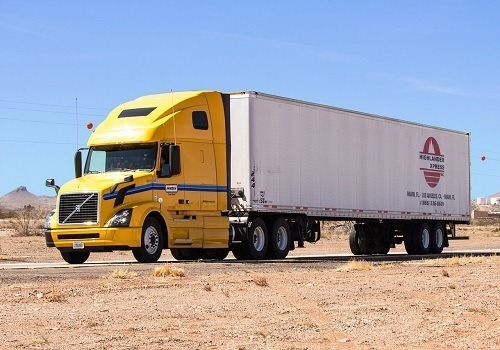 If the big rig suddenly slows down as they must do to avoid brake problems on inclines, the motorist may become involved in an underride accident, and those are among the most deadly. Never ride in a big rig’s blind spots. Big rigs have blind spots on all sides, the largest being on the left and right of the trailer. However, riding too closely in front of or behind a big rig also means that the driver cannot see you. Don’t waste time riding by a big rig’s side. The driver may have spotted your vehicle but forget it is there and decide to change lanes. Be cautious if a big rig is passing your vehicle: Pull toward the right of the lane to give the driver extra room, and slow down to make it safer for both of you. Never cut off a big rig. They are unable to stop suddenly, and this can cause an underride accident. Head injuries: Life-threatening injuries to the head are common after a truck accident. Some may be less severe such as a mild concussion. 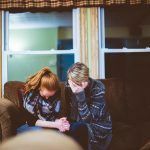 However, any blow to the head can have serious consequences and cause the person to suffer financial damages such as those from medical expenses and lost wages. Amputations: Due to the severity of a truck crash, a motorist may suffer crushed limbs that may not be saved or immediate amputation. Such injuries often require extensive time in a hospital, surgery, and rehabilitation. 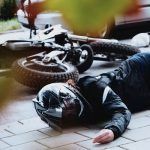 Fractures: The traumatic impact of a truck accident can result in major fractures such as that of the femur, the large thigh bone. Burns: Burns are frequently seen in truck crashes from a ruptured fuel tank or when the truck is carrying flammable liquids. Burns require lengthy treatment and may leave disfiguring scars. Blunt force trauma: The type of impact seen in a Rancho Murieta truck crash can cause a traumatic injury to the chest and abdomen. Such injuries to the heart or gastrointestinal organs can be life-threatening. 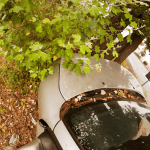 I’m Ed Smith, a Rancho Murieta auto accident and personal injury lawyer. If you or a loved one was injured in a truck accident, you might need to consult an injury attorney. Call me at (916) 921-6400 locally or (800) 404-5400 nationwide for free and friendly advice. I also offer a convenient online contact form at AutoAccident.com. 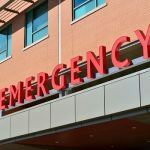 I’ve helped many residents of Rancho Murieta obtain the compensation they deserve in all types of car accidents, traumatic brain injuries, and others. I am a member of the Million Dollar Advocates. We are a forum of trial attorneys who have won more than $1 million for a client.